Nowadays, to get noticed in the entertainment industry, you have to do something flashy or downright bizarre. At least, that’s how it looks from the outside. Take, for instance, the antics of pop-music stars, whose behavior seems to find new lows each week. The argument goes that any press is good press, so these people seem to fabricate ways to get a Yahoo! story written about them -- often ways that most of us would find humiliating and degrading. The interesting thing is that these people seem to revel in the attention, making no distinction between whether their actions are considered positive, negative, or just plain stupid. In the world of high-end audio, Hegel Music Systems seems to be the antithesis of that. They aren’t flashy. In the many conversations I’ve had with them at audio shows, Bent Holter and Anders Ertzeid, the two Norwegian guys who respectively design the components and market the brand, have been down-to-earth and pleasant to talk to -- and their product designs and marketing campaigns are always thoughtful. All of Hegel’s components -- DACs, preamplifiers, headphone amplifiers, CD players, power amplifiers -- are understated in appearance. The casework is solid and functional, not attention grabbing. 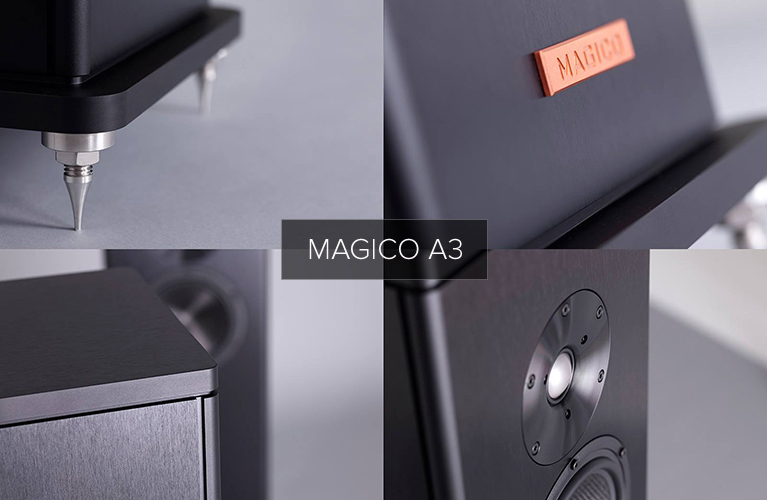 The folks at Hegel would probably say that the magic of their design expertise is inside, and the proof of its existence is the quality of what comes out of your speakers. 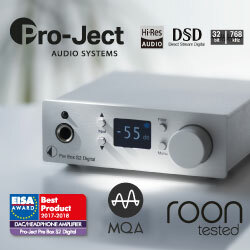 If our reviewers’ responses are any indication, that’s an accurate assumption: Our own Hans Wetzel has used Hegel’s H300 as his reference integrated amplifier-DAC for several years now, even though much flashier gear has found its way into and, eventually, out of his listening room. The introduction of a sub-$2000 DAC might not make headlines on Yahoo!, or even on many of the audiophile message boards scattered around the Internet. But don’t let that fool you: It may not look flashy, but the HD12 is newsworthy. 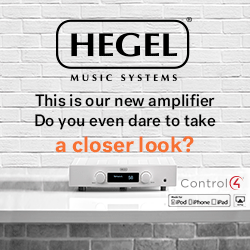 In the launch of their HD12 digital-to-analog converter, Hegel seems to be staying consistent in their understated approach. When I first saw it, at Munich’s High End last year, I couldn’t help but notice that it looked almost exactly like . . . well, all of Hegel’s other DACs. But if I thought for a minute that the HD12 is just a new model name for a new year, to keep sales up, I thought wrong. 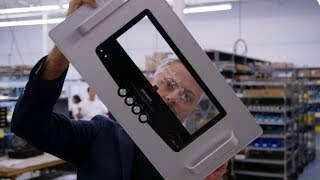 The first thing you need to know about the HD12 is the price: at $1400 USD, it’s not what most audiophiles would call expensive. In fact, at a time when DACs can sell for tens of thousands of dollars, the HD12 could be regarded as downright budget-oriented. 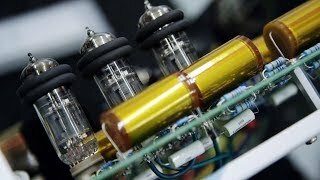 But before you assume that, because it costs only $1400, it must be compromised in some way, at least consider the alternative: Some of the ultra-expensive, heavyweight DACs out there might be more complex than they need to be, and for reasons that have little to do with attaining great sound quality. What if the HD12 is precisely what it needs to be, and no more? The only way to know for sure is to listen, of course, and I’ll get to that shortly. First, though, there are a few technical highlights -- mostly inside the HD12’s small black case -- that you should know about. The 32-bit HD12’s USB input can accept resolutions as high as 24-bit/192kHz. (The HD11 was limited to 24/96 via USB.) The rest of the digital inputs -- one coaxial, two optical -- are also capable of this resolution. From a features standpoint, four inputs that can do 24/192 is a really good start. These inputs can be selected with the included remote control, or with a tiny button on the rear panel. The HD12 also surpasses the HD11 in terms of specs, reportedly through refined circuitry. 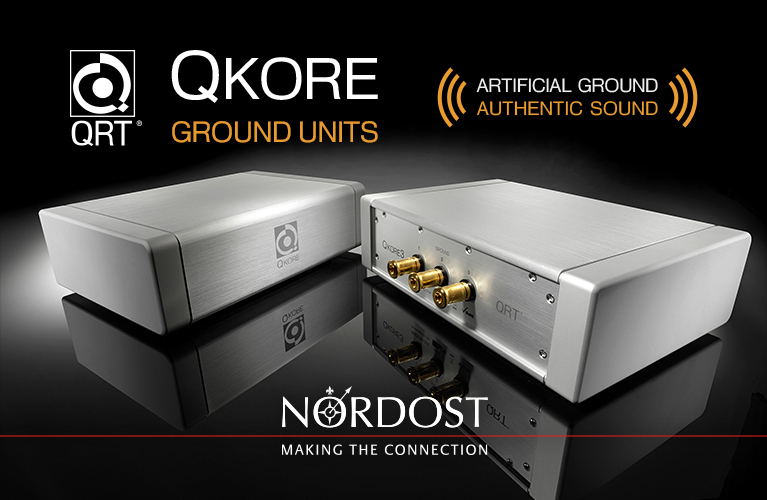 Perhaps the most striking number is its claimed noise floor of -145dB, which indicates a very, very quiet DAC. The HD12 is also capable of natively playing DSD64 files without first converting them to PCM. Although not all that many DSD recordings are yet available for download, there are some, and the library seems to be growing. Also growing is the headphone market, which makes the HD12’s front-panel headphone jack a welcome detail. 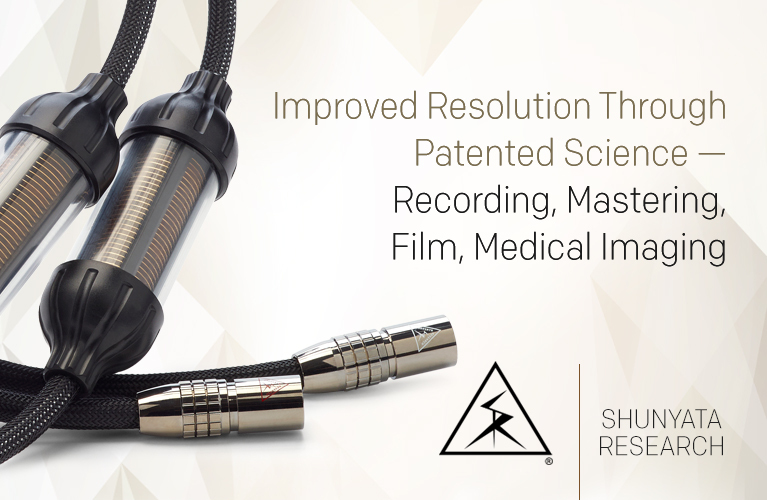 Other features include single-ended RCA and balanced XLR outputs. Those XLRs are handy, and are often not found on components at or near this price, so kudos to Hegel for including them. The power switch is on the rear, right above the IEC power-cord inlet. One exterior feature of the HD12 is an improvement over the HD11: the alphanumeric readout. Whereas the HD11’s front panel had labeled LEDs that indicated the input selected, the HD12’s blue display can tell you that as well as a couple other things: sample rate and volume level -- things you really might want to know as you sit back in your easy chair, listening to music. The display can be defeated with a simple button press on the remote. The HD12’s 100-step volume control is implemented in the digital domain; if you use a separate preamplifier, leave the HD12’s volume at its highest setting. 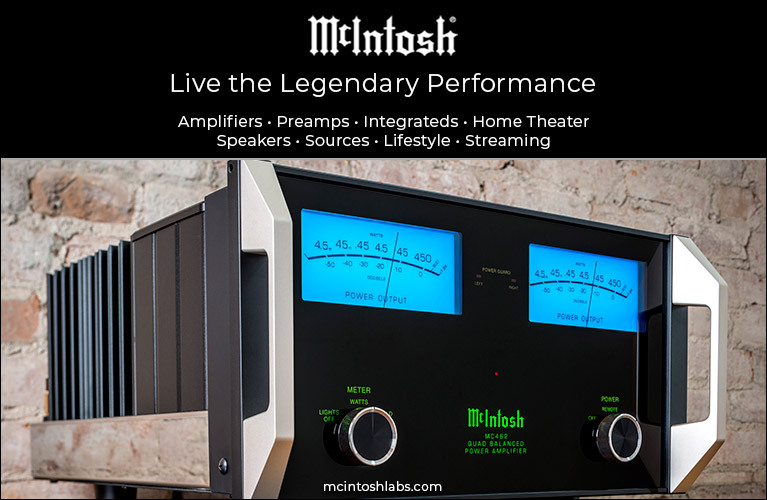 But if your system is all digital, the HD12 itself can act as your preamp. I suspect that more and more systems will be configured this latter way; unless you spin LPs, it just makes sense. Not improved from the HD11 is the cheesy little plastic remote itself -- but I suspect that adding a couple hundred bucks or more to the retail price for a better remote control was not an expense Hegel wanted to pass along to their customers, especially when there would have been no benefit to the sound quality. The HD12’s power supply consists of a generously sized toroidal transformer and 20,000 microfarads of filter capacitance. That’s pretty impressive. A few other facts: Hegel describes the filter as “linear-phase analog”; the HD12’s distortion is specified as being “typically less than 0.0005%,” the frequency response as 0Hz-50kHz, and the signal output level as 2.5V RMS at 0dBFS. The Hegel measures 8.19”W x 2.34”H x 10.14”D and weighs 7.7 pounds. 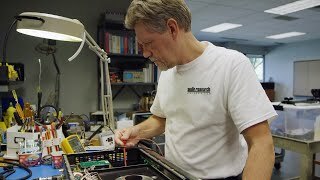 Typically, when I insert a brand-spanking-new DAC in my stereo system and start listening, I’m first struck by the component under test’s ability to either reveal more musical information -- or, conversely, its tendency to obscure those all-important musical details when compared with the DAC it’s replaced. It’s fair to say that today’s DACs are easily more resolving than those of a few years ago, and this is a decidedly good thing. Any increase in sound quality gets us closer to the original recording and is a move in the right direction. But it wasn’t only the Hegel HD12’s detail retrieval that I first noticed. After weeks of listening to the HD12, it was abundantly clear to me that it was, indeed, highly resolving. It did detail -- and scads of it. I soon realized, though, that the HD12 was drawing me into the music with many important sonic strengths, impressions only confirmed by repeated playings of favorite demo tracks as well as music I just like listening to. When I fired up Buckaroo Holiday, from Copland’s ballet Rodeo, performed by the Atlanta Symphony Orchestra and Louis Lane (16-bit/44.1kHz, Telarc), I was immediately impressed by the spatial qualities. A large, three-dimensional soundstage served up the orchestra not as a sphere of sound coming toward me, but as individual performers playing individual instruments, connected completely by the music they were playing. The HD12 didn’t artificially tether the sounds of instruments to one another or to the loudspeaker positions, but instead kept intact the space around and within the orchestra. Instead of simply hearing more detail from each instrument, I more clearly perceived the spatial characteristics of the recording venue those instruments were playing in -- Powell Symphony Hall, in St. Louis, Missouri. The bottom line for me was that the HD12 was doing good things not only to the notes themselves, but between the notes as well. Switching to DSD source material was quite the treat. Morton Gould and the Morton Gould Orchestra performing Gould’s Interplay (DSD64 DFF, RCA Living Stereo) showed me just how easily the Hegel HD12 could connect me to the music. This track had wide dynamic range and was toe-tappingly rhythmic through the HD12 -- the high jump factor lent an authenticity to the sound that made me feel the original performance. The spatial characteristics that I heard in the Copland were again clearly apparent -- I could really track what was going on and where. I must give at least some of the credit for these sound characteristics to the Hegel’s low noise floor -- the spaces around the performers weren’t filled with noise, which kept my attention firmly on the players. That oft-used phrase pace, rhythm, and timing applied here: the Hegel was able to keep the beat without skipping a beat. Slowing things down a bit, I also listened to J. Melvin Butler’s C.B. Fisk Organ Vol.1 (DSD64 DFF, HDTT). What captivated me with this recording was the tonal saturation of the organ’s sound: dense and powerful, it energized my room in the way that only a good recording of a large pipe organ can. The Hegel just surged, not sounding like some wimpy little DAC but sounding big, bold, and powerful -- or that was the sound of the organ as reproduced by the HD12. Moving on to a high-resolution PCM recording, I cued up the title track of Rebecca Pidgeon’s The Raven (24/88.2 AIFF, Chesky). The sound was enlighteningly smooth, the HD12 easily revealing the minute inflections in Pidgeon’s voice and the interplay between her and the instrumental accompaniment. Most of all, I just enjoyed listening to this track and others from the same album, finding nothing offensive in the sound and plenty to like. 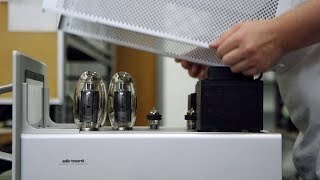 The HD12 didn’t wow me with overtly obvious detail retrieval, as something like the Weiss DAC202 will -- and the latter might be the sort of sound you crave -- but neither did it gloss over detail. I recently reviewed the M2Tech Young DSD DAC. At $1699, the M2Tech is priced close to the Hegel, and can also play DSD files -- including DSD128, which the Hegel can’t. It also sports XLR and RCA outputs. The Young DSD actually has one more digital input than the HD12, as well as volume control. The Hegel, though, has a beefier power supply, included onboard; the M2Tech comes with a small external power supply that looks similar to what you might see with a laptop computer. Although the M2Tech is a bit more interesting to look at, with its mix of materials, I slightly prefer the Hegel’s build -- it just seems a little sturdier, more practical. The HD12 and Young DSD shared a number of similarities: each had a balanced sound that never drew attention to itself with spotlit highs or a thin, grating midrange. I think each company has voiced its product smartly -- no one will say that either sounds bad. Where the Hegel scored against the M2Tech was in bass response, where I found the Young DSD a touch light -- probably its biggest shortcoming. The HD12 provided a firmer, more confident foundation to the music. Ultimately, this gave many tracks more weight and drive, and made me prefer the Hegel. I wish I still had on hand a Hegel HD25 -- their flagship DAC -- to compare the HD12 with. When I reviewed the HD25 ($2500), in March 2013, I found it outstanding, holding up pretty well even against the exalted (for good reason) dCS Debussy ($11,500). Reading my notes for that review indicates to me that the HD25 and HD12 have very similar sonic signatures. Both are smooth operators: never offensive, always balanced. But without the ability to do a side-by-side comparison, that’s about as much as I can say almost two years on. 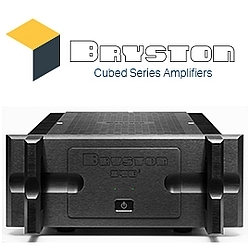 Could the HD12 be within spitting distance of the HD25, for $1100 less? I think it’s close. You have to give Hegel credit for making great sound quality affordable for most audiophiles. Hegel Music Systems’ HD12 digital-to-analog converter provides the best sound for the least money of any DAC I’ve had in my system. 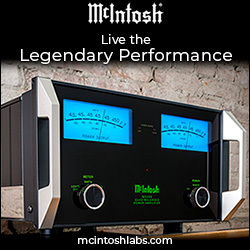 You might be surprised at just how good it is, and just how uncompromised its sound is on an absolute basis. Although you probably won’t see the HD12 on the front page of Yahoo! -- it just doesn’t attract attention to itself in overt ways -- it’s an ear-opener for all it does right. That’s in keeping with Hegel’s steady approach: produce excellent if understated products, and customers will buy. The HD12 is one of their best, and one of the best audio values I know of. That fact should get it plenty of attention. The right kind.